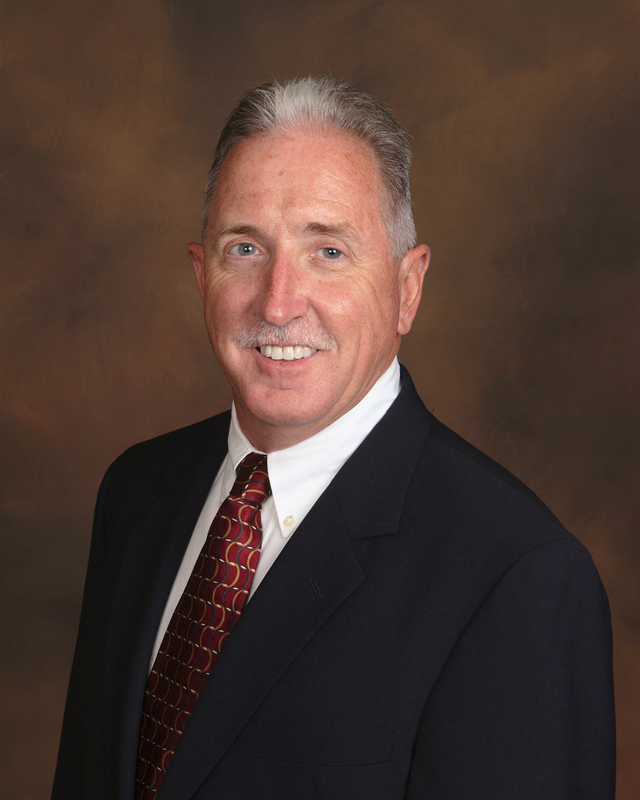 Dr. Jardine has been a board certified emergency medicine physician since 2000. His interest in race medicine was piqued when he first volunteered at the Falmouth Road Race in the summer of 2000. Two years later, he was appointed co-medical director of the race and has been directing medical operations since. As co-director, he is involved with the overall coordination of the medical care at the race including the recruitment and training of volunteers, ensuring adequate supplies and equipment are available for medical services, and providing emergency care to the athletes, spectators, and volunteers involved with the race. Through the history of the race, the medical team has developed protocols for the treatment of exertional heat illness. Dr. Jardine has continued to perfect these protocols and has teamed with KSI to continue research to protect athletes worldwide. He has co-authored two research papers, “The Effectiveness of Cold Water Immersion in the Treatment of Exertional Heat Stroke at the Falmouth Road Race”, and “Relationship Between Aerobic Fitness Parameters, Body Temperature, and Perceptual Responses Following a Warm-Weather Road Race” through his experience with medical care at the race. Dr. Jardine has been involved in medical care at long distance races. As an invited guest, he has assisted the medical team at the Boston Marathon in the critical care and heat illness treatment areas. Dr. Jardine’s start in medicine was in Emergency Medical Services (EMS) as an EMT and then Paramedic in New York State. After 12 years of practicing prehospital medicine, Dr. Jardine earned his medical degree at Downstate Medical School in Brooklyn, New York. He completed residency in emergency medicine at Rhode Island Hospital/Brown University serving as chief resident in his senior year. His background in EMS has provided experience in disaster medicine and mass casualty incidents (MCIs). He worked with the Rhode Island Disaster Medical Assistance Team (DMAT) to staff field hospitals at mass gatherings. With RI DMAT, Dr. Jardine implemented and staffed a mobile hospital to provide medical support to the offshore Egypt Air Flight 990 recovery mission. As an emergency physician, Dr. Jardine directed the medical care for Operation Helping Hand, Massachusetts Governor Romney’s temporary relocation of the displaced victims of Hurricaine Katrina to Camp Edwards on Cape Cod. The organizational and administrative skills previously experienced with MCIs have been invaluable in coordinating medical care for events involving several thousand athletes. William Adams is currently an Assistant Professor and Director of the Athletic Training Program at the University of North Carolina Greensboro. William has been a licensed Athletic Trainer since 2010 and has worked clinically in collegiate and secondary school settings. He also has clinical experience with mass medical events such as the Boston Marathon, Marine Corps Marathon, Vermont City Marathon, Lake Placid Ironman, Beach to Beacon Road Race and Falmouth Road Race, where he has successfully treated more than 40 cases of exertional heat stroke. Dr. Adams’ research interests are focused on investigating various facets of exertional heat stroke, maximizing athletic performance in the heat and preventing sudden death in sport and physical activity. Particularly, his interests lie in identifying strategies to optimize the prevention, treatment and recovery of exertional heat stroke, examining the influence of hydration and thermal stress on exercise recovery, and utilizing wearable technology to quantify performance and recovery. He has been either a lead or co-author on over 30 publications in both peer-reviewed scientific journals and edited textbooks on topics related to exertional heat stroke, maximizing athletic performance in the heat and preventing sudden death in sport and physical activity. Dr. Adams received his bachelor’s degree in Athletic Training at the University of Wisconsin-Madison, his master’s and doctoral degrees in Exercise Science at the University of Connecticut in 2012 and postdoctoral fellowship at the University of Connecticut. Lawrence Armstrong is in his 26th year at the Human Performance Laboratory, University of Connecticut. His research specialties include human temperature regulation, heat acclimatization, nutritional supplements, and sport drinks as they apply to athletes, laborers and military personnel. His field studies have focused on fluid-electrolyte balance in tennis players and endurance cyclists, heat exhaustion in military units, heat stress monitors, and cooling of heat-stroke patients after a summer road race. He authored Performing in Extreme Environments (Human Kinetics, 2000), edited Exertional Heat Illnesses (Human Kinetics, 2003), edited ACSM’s Research Methods (October, 2015 release), and has co-authored over 200 peer-reviewed scientific publications. In 2007, Professor Armstrong chaired the current American College of Sports Medicine position stand entitled, Exertional Heat Illnesses During Training & Competition. Professor Armstrong earned his doctorate in human bioenergetics at Ball State University’s Human Performance Laboratory in 1983. Linds ay Baker works in the Exercise Physiology Laboratory at the Gatorade Sports Science Institute (GSSI) in Barrington, IL. As an R&D Principal Scientist at GSSI, she specializes in water and electrolyte imbalances and investigates their effect on thermoregulation, sport/exercise performance, and cognitive function. Another one of Dr. Baker’s research areas of interest includes analytical techniques for assessing sweat composition and changes in body water in athletes. Dr. Baker has authored and co-authored several publications, including a 2014 paper in Comprehensive Physiology titled “Optimal Composition of Fluid-Replacement Beverages”, and a chapter in the 2016 textbook Fluid Balance, Hydration and Athletic Performance. In 2002, Dr. Baker received her Bachelor of Science degree in Biology from the University of Pittsburgh at Johnstown, where she competed on the basketball, track, and cross-country teams. She graduated from Penn State University in 2008 with a doctorate in Kinesiology. While at Penn State, she conducted hydration-related research with youth and college basketball players, marathon runners, and older active adults at Noll Laboratory under the mentorship of Dr. Larry Kenney. Mike Carroll is the head athletic trainer and assistant athletic director for Stephenville High School in Stephenville, Texas. He has been in that position since 2003. He entered the athletic training profession in 1992. Mike has a long history of serving in leadership positions in athletic training organizations. 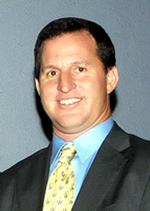 He has served on local, state, and district boards of directors and is a past president of the Southwest Athletic Trainers Association (SWATA). He has also served on many National Athletic Trainers Association (NATA) committees and task forces. In 2009 he was a member of the Pre-Season Heat Acclimatization Guidelines for Secondary School Athletics Task Force. He is currently the liaison from the Texas State Athletic Trainers Association to the University Interscholastic League (UIL) which is the state activities association for interscholastic athletics in the state of Texas. In the fall of 2011 he spearheaded a successful effort to have the UIL adopt pre-season practice guidelines similar to those that the NATA pre-season practice task force created. Carroll has received the NATA Athletic Trainer Service Award as well as the NATA Most Distinguished Award. He was selected to become a member of the SWATA Hall of Fame in 2016. He has also received the Bobby Gunn Unsung Hero Award, the Eddie Wojecki, and Most Distinguished Award from SWATA. He has served as an athletic trainer for the Texas High School Coaches Association all-star basketball game and also the all-star football game and frequently serves as a test examiner for the Texas state athletic training licensure exam. In 2012 he was received the KSI Lifesaver Service Award. Mike Carroll earned his bachelor’s degree in Kinesiology from Texas A&M University. He received his master’s degree in Athletic Training from the University of Virginia. Dr. Chang specializes in the sports medicine care of children and adults, preventing, diagnosing, and treating injuries and illnesses related to exercise and sports participation. 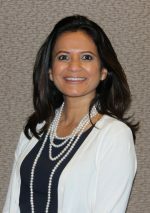 She serves as chair of the California Interscholastic Federation’s Sports Medicine Advisory Committee, and is also on the Sports Medicine Advisory Committee for the National Federation of State High School Associations (NFHS). She is a founder and co-chair of the California Concussion Coalition, and a board member of Racing Hearts, a non-profit that increases awareness of and improves access to AEDs in communities. Chang was an elected four-year member of the Board of Directors for the American Medical Society for Sports Medicine (AMSSM), one the largest organizations of primary care sports medicine physicians in the world. She later served as its President in 2011-2012. She is also a fellow of the American College of Sports Medicine (ACSM). Chang has worked at the U.S. Olympic Training Center in Colorado Springs and was part of the USA medical team for the Winter Paralympic Games in Nagano, Japan, in 1998 and in Salt Lake City in 2002. She served as Chief Medical Officer for the USA delegation at the 2007 Parapan Am Games in Rio de Janeiro, the 2008 Summer Paralympic Games in Beijing, and most recently the 2012 Olympic Games in London. She was the 2003 recipient of the AMSSM Founders Award, given to a sports medicine physician who demonstrates outstanding professional achievement and service to the community. She was also selected to receive the 2013 Dr. Ernst Jokl Sports Medicine Award, given annually to an individual for his/her contributions to the growth and development of sport medicine through practice and/or scholarly activity. Past award recipients have included Sir Roger Bannister, Dr. Jimmy Andrews, and Dr. Eric Heiden. Most recently, Chang has been honored with the National Athletic Trainers’ Association Jack Weakley Award of Distinction for 2016. 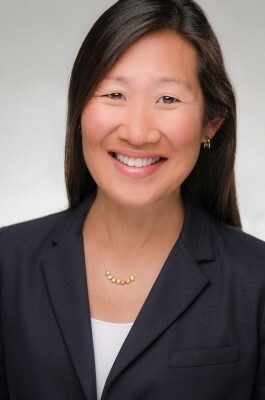 Chang attended The Ohio State University for her undergraduate and medical school education, and then completed her residency in Family Medicine at UCLA before returning to OSU for her fellowship in Sports Medicine. She was on faculty at OSU in the Department of Family Medicine, serving as Assistant Residency Director and Assistant Team Physician for the OSU Buckeyes until moving back to California to serve as the Head Team Physician for Cal’s 27 athletic teams from 1995 to 2008. Chang continues her role at Cal as a team physician, volunteers as the team physician at Berkeley High School, and frequently speaks to community groups, schools, club teams, and the media on a wide range of topics affecting the health and safety of our young athletes. Jason Cates has been the head athletic trainer at Cabot Public Schools in Cabot, Arkansas since July, 2011. He has been very active in athletic health care for secondary schools at the state, district, and national levels since 1996. 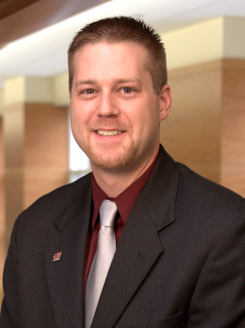 Jason has served on several committees on all three levels and is the current Past-President of the Arkansas Athletic Trainers’ Association. He serves on The Arkansas Activities Association Sports Medicine Advisory Committee, which adopted pre-season acclimatization and practice guidelines in accordance with the Korey Stringer Institute in 2012. Jason, along with other Arkansas athletic trainers and key “stakeholders,” worked with a Legislative Task force to study athletic health care concerns in the state of Arkansas’ secondary schools. The Legislative Task Force was successful in passing a comprehensive Athletic Health Care Bill (H.B. 1214) in 2011 which addresses Exertional Heat Illness, Athletic Concussions, Communicable Diseases, and Emergency Action Plans for Athletics. Additionally, the bill mandates coach, parent, and athlete education on each of these issues. Jason was recognized as the Arkansas Athletic Trainer of the Year in 2008 and received the NATA Athletic Trainer Service Award in 2012. Jason received his Bachelor of Science degree in Kinesiology with emphasis in Athletic Training from Arkansas State University. Larry Cooper is a recently retired Teacher and Licensed Athletic Trainer. He spent the majority of his time at Penn-Trafford High School in Harrison City, Pennsylvania. Larry previously served as the Chair of the NATA SSATC as well as District 2 Representative. Mr. Cooper has also served as a member of the National Federation of State High School Associations (NFHS) Sports Medicine Advisory Committee. 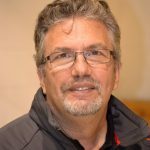 In addition, he has held numerous positions within the Pennsylvania Athletic Trainers Society (PATS) including being a member of the Board of Directors, Secondary School Committee Chair, Parliamentarian and others. Larry is a founding member of the Western Pennsylvania Interscholastic Athletic Leagues (WPIAL) Sports Medicine Advisory Committee and continues to work as a Master Assessor for the Pennsylvania Interscholastic Athletic Associations (PIAA) Wrestling Weight Loss rule. He continues to be involved with a few projects, committees and task forces while serving as the NATA District 2 Secretary. 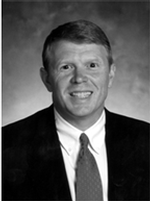 Ron Courson is active in research and education in the field of sports medicine. He has authored a textbook, Athletic Training Emergency Care and a number of professional papers and text chapters. He served as a co-author with the National Athletic Trainers Association (NATA) on position statements for emergency preparation, exertional heat illness, management of sudden cardiac arrest and management of head and cervical spine injuries. He has served as Director of Sports Medicine with the University of Georgia Athletic Association since May of 1995, after serving four years as Director of Rehabilitation at the University of Alabama. He has also been involved in many athletic training activities including work as an athletic trainer with the U.S. Olympic Team. Mr. Courson is currently serving as a member of the National Collegiate Athletic Association (NCAA) Competitive Safeguards and Medical Aspects of Sports committee. Mr. Courson received his bachelor’s degree in education/physical education from Samford University, performed two years of graduate work at the University of Tennessee-Chattanooga, and graduated from the Medical College of Georgia with a degree in physical therapy. 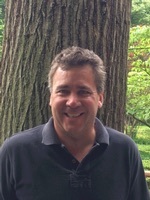 David Csillan has been an athletic trainer at Ewing High School in Ewing, New Jersey since 1991. He is also the medical coordinator for the U.S. Region 1 Boys’ Olympic Development Soccer Camp and for various soccer tournaments throughout the state of New Jersey. Additionally, he provides medical services to the ING New York City Marathon and the New Jersey Special Olympics. 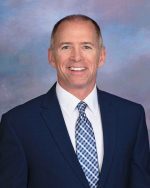 He currently chairs the Athletic Trainers’ Society of New Jersey Secondary School Committee and is a member of the New Jersey State Interscholastic Athletic Association Sports Medicine Advisory Committee. Beginning June 2010, he will start his term as the National Athletic Trainers Association (NATA) Liaison to USA Football. In 2009, Csillan co-chaired the Pre-Season Heat Acclimatization Guidelines for Secondary School Athletics Task Force, spearheaded by NATA. He also co-authored the third edition of the National Federation of State High School Association’s Sports Medicine Handbook. In 2004, Csillan was inducted into the New Jersey State Interscholastic Athletic Association New Jersey State Coaches Association Hall of Fame. In 2008, he was inducted into the Athletic Trainers’ Society of New Jersey Hall of Fame. David Csillan earned his bachelor’s degree in Physical Education with an emphasis in Athletic Training from The College of New Jersey, Trenton, New Jersey. He received his master’s degree in Athletic Training from Old Dominion University, Norfolk, Virginia. 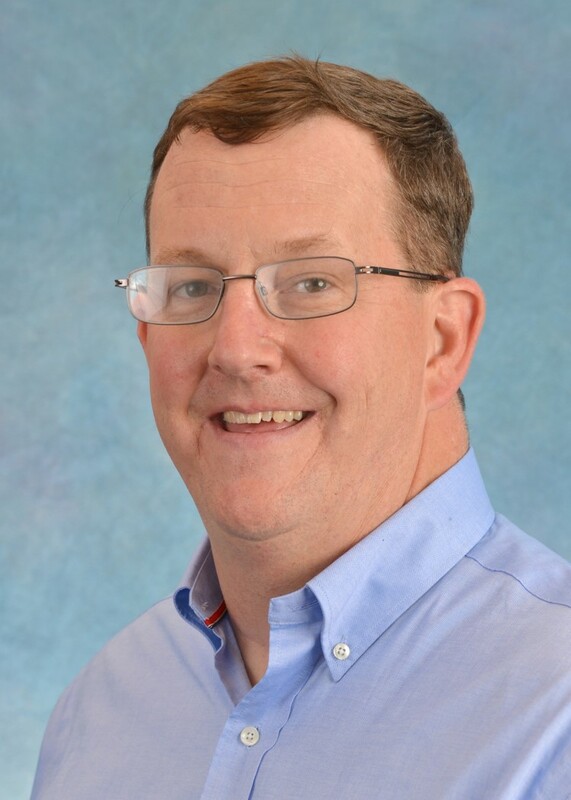 Dr. Davis has nearly 20 years of experience as an emergency medicine physician, and is currently the medical director of the Emergency Department at Falmouth Hospital in Falmouth, MA. 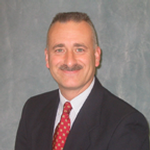 He is also medical director of the Urgent Care Center at Stoneman Outpatient Center in Sandwich, MA. Dr. Davis is also the co-medical director of the New Balance Falmouth Road Race, an elite event held annually in August in Falmouth, MA. As co-medical director, he oversees volunteer medical personnel from the Falmouth Hospital Emergency Department, who staff three medical tents along the race route. The Falmouth Road Race medical team sees many hyperthermia cases over the course of the 7-mile course, and they are trained and experienced in effective treatment methods. The medical team has been providing medical care at the race for the last 40 years, and their development of treatment methods for hyperthermia helped established the treatment protocol still in use today. They learned nearly 30 years ago that rapid and effective cooling through immersion in ice tubs at the roadside medical tents helps prevent death or permanent organ damage. Dr. Davis is on the board of directors of Cape Cod Health Network, a physician-hospital organization, and he is also on the board of the Cape Cod Health Network ACO. He also serves on the Quality Committee of the Physicians of Cape Cod, a private physicians group. He is a consulting expert in emergency medicine. Dr. Davis earned his medical degree at Boston University School of Medicine in 1995 and completed an internship and residency at Rhode Island Hospital in Providence, RI. He was chief resident at Rhode Island Hospital and assistant clinical instructor of medicine at Brown University School of Medicine from 1998-1999. Dr. Davis is a diplomat of the American Board of Emergency Medicine. 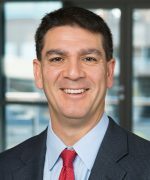 Dr. Distefano’s research interests center around sport-related musculoskeletal injury prevention with a specific focus towards ACL injury prevention and injury prevention in a youth population. She is currently studying an injury prevention program in a military population, evaluating the development of risk factors for injury in children, and investigating new methods to translate injury prevention to the community. Past research experiences include studying the effects of injury prevention programs in youth athletes, evaluating the necessary components of injury prevention programs, and prospectively investigating risk factors for ACL injury. Dr. Distefano received her Bachelor’s degree from Boston University and her Master’s and Doctorate degrees from the University of North Carolina. Dr. Jonathan Drezner is a Professor in the Department of Family Medicine and Director of the Center for Sports Cardiology at the University of Washington (Seattle, WA). 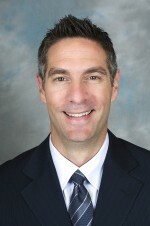 He is Team Physician for the Seattle Seahawks (NFL) as well as the University of Washington Huskies. Dr. Drezner is past-President of the American Medical Society for Sports Medicine (2012-13), Director of the National Registry for AED Use in Sports, and Senior Associate Editor for Sports Cardiology for the British Journal of Sports Medicine. His primary research focuses on the prevention of sudden cardiac death in athletes, cardiovascular screening and ECG interpretation in athletes, and emergency response planning for sudden cardiac arrest and the use of automated external defibrillators (AEDs) in the school and athletic settings. Christianne Eason is an assistant professor of Athletic Training and Exercise Science at Lasell College in Newton, Massachusetts. Her research interests include the examination of organizational practices of collegiate sports medicine departments and how those may impact clinician retention and patient care. In particular, she is interested in studying the impact a medical organizational structure will have on the well-being of both patients and clinicians, compared to the more traditional athletic organizational structure. Christianne has presented at numerous national, regional, and state conferences, authored four textbook chapters, and has published more than 20 peer reviewed articles on topics including professional commitment, career intentions, organizational structure, and mentoring. She has expertise in qualitative methodologies, mixed-methods, and survey instrument validation. In addition, Dr. Eason has 8 years or experience working clinically as an athletic trainer in the collegiate and secondary school settings. She continues to volunteer at the Boston Marathon annually in the finish line medical tents. Christianne received her Bachelor’s degree in Athletic Training from the University of Connecticut in 2006, her Master’s degree in Nutrition and Physical Activity from James Madison University in 2008, and her Doctorate in Sport Management from the University of Connecticut in 2016. Christina Emrich has been the athletic trainer at Red Bank Regional High School in Little Silver, NJ since 1995, as well as the assistant athletic director since 2006. She entered the profession in 1992. 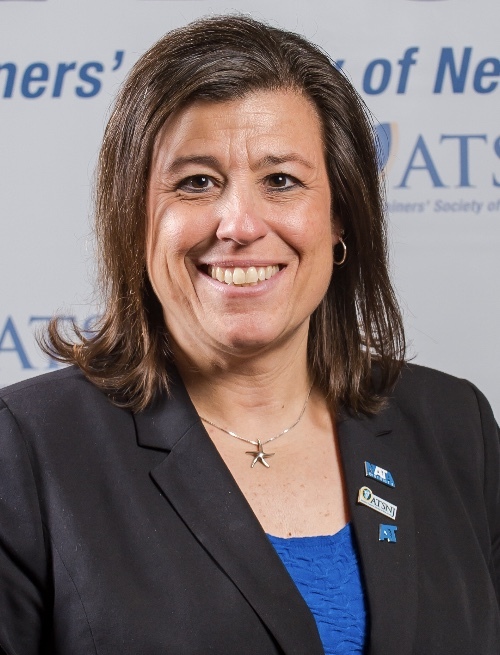 She has been very active on the state level as a member of the Athletic Trainer’s Society of New Jersey (ATSNJ) Public Relations, ATs Cares NJ and Secondary School committees. She previously served as the Chair of the Secondary School Committee, and has held several positions on the Executive Council. 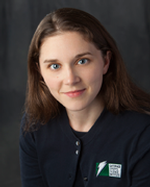 Christina is currently the Past President of the Athletic Trainers’ Society of New Jersey and a member of the New Jersey State Interscholastic Athletic Association Sports Medicine Advisory Committee. During her tenure as President, Christina participated in the Collaborative Solutions for Safety in NJ Sports together with KSI and the New Jersey State Interscholastic Athletic Association developing strategies for policy implementation for secondary school athletics. In 2014, Christina was chosen as a Medical Manager for the USA Special Olympics hosted by New Jersey and continues to provide medical care coverage for the New Jersey Special Olympics and the New York City Marathon, as well as providing coverage for various state soccer tournaments. Christina has presented at the Mid-Atlantic Region of the American College of Sports Medicine and the Adam Taliaferro Foundation Symposium. In 2009 She received the inaugural NATA/Secondary School Gatorade Award. In 2011 was inducted into the New Jersey State Interscholastic Athletic Association New Jersey Scholastic Coaches Hall of Fame and the Red Bank Regional High School Distinguished Alumni Hall of Fame. In 2014 she received the ATSNJ Distinguished Service Award and in 2018 the NATA Athletic Trainer Service Award. 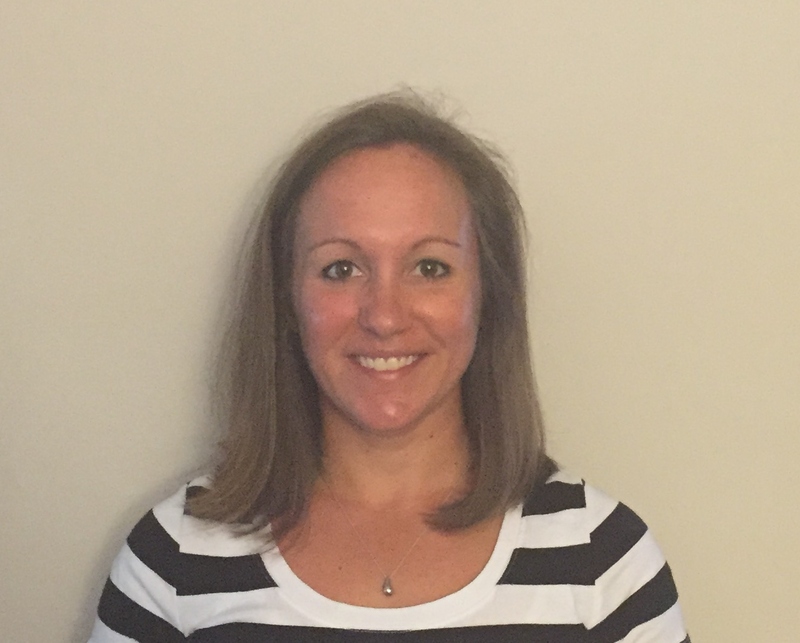 Christina Emrich received her Bachelor’s degree in Physical Education/Health with a concentration in Athletic Training from Montclair State University, Upper Montclair, NJ and her Master’s degree from Kean University, Union, NJ. Dr. Michael Ferrara is Associate Professor in the department of Kinesiology at the University of New Hampshire. He received his doctorate degree from Penn State University, Masters degree from Michigan State University and undergraduate degree from Ithaca College. 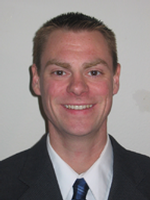 Mike has been very active in research and has published in leading sports medicine journals. His primary area of research is exertional heat illness and sport-related concussion. He has given numerous lectures around the world to include Japan, China, and Europe. Ferrara has been active professionally at the state, regional, and national and international levels most recently serving as President of the World Federation of Athletic Training and Therapy and he is on the Board of Certification. Ferrara has been recognized for his leadership and scholarship throughout his three-decade career. He was inducted into the NATA Hall of Fame, Class of 2009, and the SEATA Hall of Fame, Class of 2012. He was named a Fellow in the National Athletic Trainers Association in 2008 and in the National Academy of Kinesiology in 2003. Ferrara was named a 2010 Fulbright Scholar to Ireland where he taught in the athletic training program and to research sport-related concussion at Dublin City University, Ireland. Recently, he joined the NFL’s Head, Neck and Spine Committee, one of several health and safety committees that advise NFL Commissioner Roger Goodell. Matthew Ganio is an associate professor of Kinesiology at the University of Arkansas Department of Health, Human Performance and Recreation. He is currently investigating the mechanisms by which cardiovascular and thermoregulatory responses may be altered in healthy and patient populations. Specifically, his interests are the clinical implications of obesity on cardiovascular and thermoregulatory responses during exercise. 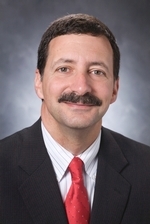 Dr. Ganio received his undergraduate and Master’s degree at the University of Georgia. He received his Ph.D. from the University of Connecticut and completed a post-doctoral fellowship at Texas Health Presbyterian Hospital with a joint appointment at the University of Texas Southwestern Division of Cardiology in Dallas, Texas. Eric D.B. 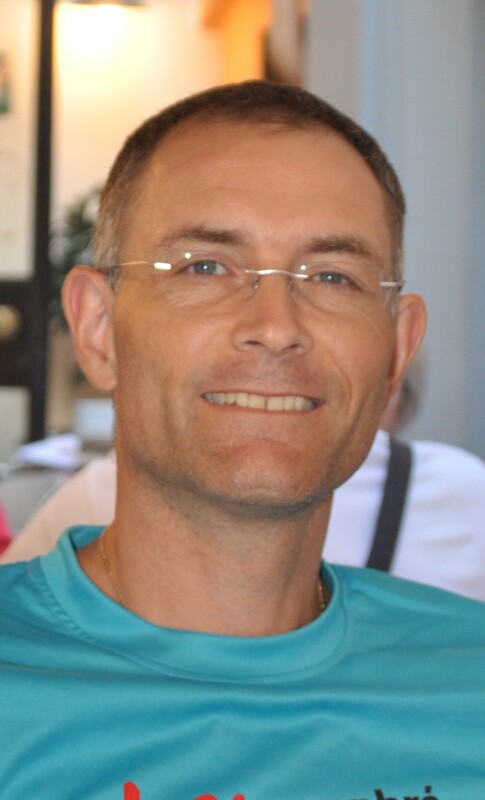 Goulet is an associate professor of exercise physiology at the Université de Sherbrooke, Canada, where he is also head of the performance, hydration and thermoregulation laboratory. His research interests include 1) the impact of dehydration, heat stress, ad libitum drinking and hyperhydration on physical performance, water balance and physiological functions; 2) the validation of devices or techniques aimed at measuring performance, core temperature or sodium concentration in sweat and; 3) the conduct of systematic reviews for improving our understanding of the impact of body water changes on physical performance. Andrew Grundstein is a professor of Geography and member of the Atmospheric Sciences program at the University of Georgia. 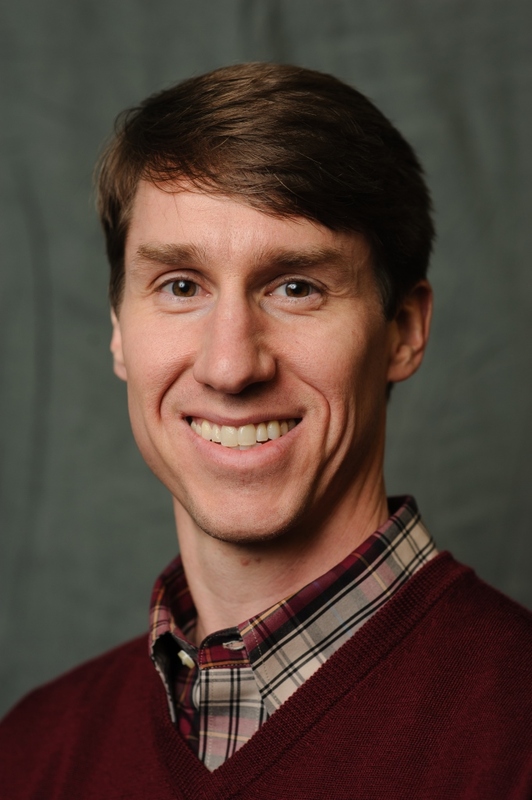 His research focuses on the interactions between climate and human health, with particular interests related to heat exposure, and the impacts of heat on athletes and children. Dr. Grundstein has published over 45 peer-reviewed articles in scientific journals and his research on heat and health has been supported by grants from agencies such as the National Institutes of Health and the Centers for Disease Control. Dr. Grundstein received his bachelor’s degree from the University of California at Los Angeles, and his master’s and doctorate degrees from the University of Delaware. Kevin Guskiewicz is the Kenan Distinguished Professor, Co-Director of the Matthew Gfeller Sport-Related TBI Research Center, and Director of the Center for the Study of Retired Athletes at The University of North Carolina at Chapel Hill. He is a graduate of the University of Virginia (PhD, 1995); University of Pittsburgh (MS, 1992); and West Chester University (BS, 1989). Over the past 18 years, his clinical research program has investigated the effect of sport-related concussion on balance and cognitive function, the biomechanics of sport concussion, and the long-term neurological effects of concussion in professional football players. Dr. Guskiewicz has received 24 funded research grants, and published over 130 journal articles and 8 textbook chapters on sport concussion. Additionally, he has presented over 250 national and international lectures on this topic. He teaches courses in sports medicine, anatomy, and research methods at UNC, and has been awarded fellowship in the American College of Sports Medicine, National Academy of Kinesiology, and the National Athletic Trainers’ Association. He serves on NCAA’s Concussion Committee, NFL’s Head, Neck, and Spine Committee, and NFLPA’s Mackey-White Committee. In 2011, Kevin was awarded a prestigious MacArthur Fellowship. Dr. Jay Hoffman holds the rank of full professor in the Sport and Exercise Science program and Professor of Medicine at the Burnett School of Biomedical Sciences at the University of Central Florida. He is Director of the Institute of Exercise Physiology and Wellness and serves as Department Chair of Education and Human Sciences within the College of Education and Human Performance. Previously he served as President of the Board of the National Strength and Conditioning Association (NSCA) from 2009-2012. Dr Hoffman has also served on the Board of the USA Bobsled and Skeleton Federation. Dr. Hoffman holds a unique perspective in his sport science background. Prior to his academic career he signed free agent contracts with the NY Jets and Philadelphia Eagles of the NFL and the Tampa Bay Bandits of the USFL. A dual national of the USA and Israel, Dr. Hoffman commanded the Physiological Unit of the Israel Air Force and served as a Research Office in the Combat Fitness Unit of the IDF during his military service. As a sport scientist, Dr. Hoffman has published more than 250 articles and chapters in peer-reviewed journals and 8 books. In addition, Dr. Hoffman has lectured at more than 400 national and international conferences and meetings. Dr. Hoffman has also been honored with the 2007 Outstanding Sport Scientist of the Year from the NSCA and 2005 Outstanding Kinesiology Professional Award from the Neag School of Education of the University of Connecticut. 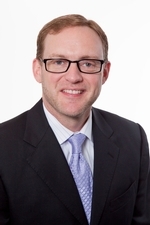 Dr. Hoffman received his bachelor’s degree at St. John’s University, his master’s degree at Queens College, City University of New York, and his doctorate from the University of Connecticut. Yuri Hosokawa is currently an Assistant Professor at the Waseda University in Saitama, Japan. 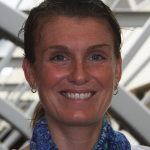 Her research interests include prevention and education of sudden death in sport, establishing best practices in road race medicine, development of regional-specific heat guidelines and exploring the roles of genetics in the susceptibility of exertional heat stroke. She is also partaking in research projects in the field of biometeorology to promote interdisciplinary research across physiologist, climatologist, and public health researchers. Ms. Hosokawa has lead projects to help advance the Athletic Training profession in the U.S. and Japan, including assessment of athletic training service return on investment through secondary school insurance cost, National Football League Foundation athletic trainer grant program, and Journal of Athletic Training translation project lead by the Japan Athletic Trainers’ Organization. She is currently a member of the International Committee of the National Athletic Trainers’ Association. She continues to work internationally, serving as a science advisor for Sport Safety Japan, NPO, and a member of the International Institute for Race Medicine Ambassador Program Committee. 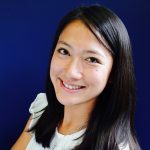 Ms. Hosokawa received her bachelor’s degree in Sport Sciences from the Waseda University in 2011, her master’s degree in Athletic Training from the University of Arkansas in 2013, and her doctoral degree from the University of Connecticut in 2016. She then completed a postdoctoral fellowship at the Korey Stringer Institute. 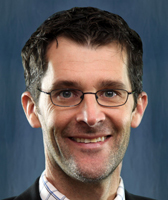 Ollie Jay is an Associate Professor in Thermoregulatory Physiology in the Faculty of Health Sciences at The University of Sydney in Australia. He is Director of the Thermal Ergonomics Laboratory and Lead Researcher of the Charles Perkins Centre (CPC) Research Node on Climate Adaptation & Health. His research activities primarily focus on developing a better understanding of the physiological and physical factors that determine human heat strain and the associated risk of heat-related health problems during work and/or physical activity & sport, as well as among vulnerable people during heat waves. To date, Ollie has a total of 110+ peer-reviewed research publications (75+ as senior author) and has received funding from organisations such as the National Health & Medical Research Council (NHMRC), MS Research Australia, and the NSW Office of Environment & Heritage. He has also been responsible for the development of new extreme heat policies for the Australian Tennis Open (starting in 2019), Cricket Australia, the National Rugby League (NRL), and the 2017 Rugby League World Cup, which was hosted in Australia, New Zealand, and Papua New Guinea. Ollie is also an Associate Editor for Journal Science and Medicine in Sport, and the journal Temperature. He also serves as an Editorial Board member for the Journal of Applied Physiology, and Medicine and Science in Sports and Exercise (MSSE). In 2017, he was the recipient of a 2-year University of Sydney Research Accelerator (SOAR) Fellowship, and the University of Sydney Vice-Chancellor’s Award for Excellence: Outstanding Research and Teaching. 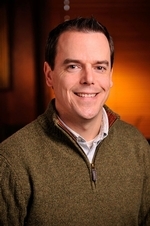 John Lynn Jefferies is Director of Cardiomyopathy and Advanced Heart Failure at Cincinnati Children’s Hospital Medical Center in Cincinnati, Ohio. He completed his undergraduate and medical school degrees at the University of Tennessee and a combined residency in Internal Medicine and Pediatrics at the University of Kentucky. He then received his Master’s Degree in Public Health in Epidemiology from the University of Kentucky. He went on to complete a five year Fellowship in both Adult Cardiovascular Diseases and Pediatric Cardiology at the Texas Children’s Hospital and the Texas Heart Institute at the Baylor College of Medicine in Houston, Texas . During that time, he specialized in heart failure and cardiovascular genetics in both children and adults making him one of the only cardiologists world-wide with expertise in heritable forms of cardiovascular disease. 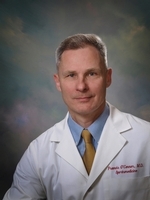 He currently is Director one of the largest centers for Cardiomyopathy in the United States caring for patients and families of all ages with genetically triggered form of heart muscle disease such as hypertrophic cardiomyopathy and left ventricular noncompaction. He is a recognized international leader in the field and currently collaborates with centers from around the globe to better understand the genetic causes of heart disease and sudden cardiac death in children, adolescents, and adults. He currently serves as an Advisor for numerous organizations in the United States that are focused on improving the lives of those with cardiovascular disease and is the United States Pediatric National Chairman for the Heart Failure Colloquium. He has been rated as one of the Best Doctors in the United States. His research interests include novel gene discovery in cardiomyopathy, novel therapeutic strategies for heart failure including clinical drug investigation, and the use left ventricular assist devices in novel patient populations. Shawn is a Family Physician and a Primary Care Sports Medicine Physician who served in the U.S. Army for 27 years. While in the Army he spent over 17 years serving as a Physician-Leader in numerous units within the US Army Special Operations Command. Prior to retirement, he served as the Commander of the Special Warfare Medical Group (Airborne) and the Dean of the Joint Special Operations Medical Training Center where he oversaw the initial and refresher training for all Special Operations Medics in the United States Special Operations Command. Currently, he is an Associate Professor in the Department of Family Medicine at the UNC Chapel Hill School of Medicine and is an Adjunct Assistant Professor in the Department of Exercise and Sports Science at UNC Chapel Hill. Dr Stavros Kavouras is an Associate Professor at the University of Arkansas and program coordinator for Exercise Science. He is an expert in the area of hydration and its effects on health and exercise performance. Dr. Kavouras is the author of more than 80 peer review articles and he has given lectures in more than 20 countries around the world. He is a section Editor of the European Journal of Nutrition and Fronteers in Nutrition. He has served as a scientific consultant in the Gatorade Sports Science Institute, Danone Research, Quest Diagnostics and the Greek Anti-Doping Organization. Dr Kavouras is a Fellow of the American College of Sports Medicine & the European College of Sports Science and elected member of the American Physiological Society and the American Society of Nutrition. His training includes: Post-doctorate in Human Physiology from Yale University, School of Medicine; Ph.D. in Human Exercise Physiology from the University of Connecticut, and Master of Science in Exercise Physiology and Nutrition from University of Colorado at Colorado Springs. Glen Kenny is a Professor of Environmental Physiology at the University of Ottawa. His work is directed at improving the understanding of the human physiological responses to work performed in adverse environments. He has taken a unique focus on the evaluation of biomedical factors such as age, physical fitness, obesity, and chronic health disorders, which can modify the physiological responses to heat stress. His research program has generated more than 100 peer-reviewed papers, book chapters, and invited reviews. He has received numerous awards, including a University of Ottawa Research Chair, an Ontario Ministry of Health and Long-Term Care Career Scientist Award and numerous University of Ottawa Research Excellence awards. Dr. Kerr is an Assistant Professor in the Department of Exercise and Sport Science at the University of North Carolina, and serves as the Research Director for the Center for the Study of Retired Athletes. He teaches Undergraduate Research Methods (EXSS 273). Dr. Kerr completed his undergraduate degree in Communication and Spanish at the University of Washington (Seattle, WA) in 2004. He completed his graduate work at The Ohio State University (Columbus, OH), earning two Master’s degrees in Journalism and Communication in 2006, and Epidemiology in 2010. At the University of North Carolina at Chapel Hill, Dr. Kerr completed his doctoral work in Epidemiology in 2014. He previously served as the Director of the National Collegiate Athletic Association Injury Surveillance Program. His research examines the strengths and limitations of sports injury surveillance to discuss strategies to estimate injury incidence. He also evaluates injury prevention strategies related to traumatic sport-related injuries such as concussions and heat stroke. Through his collaborations with numerous injury prevention, athletic training, and sports medicine experts, he has published over 75 research articles related to injury surveillance and traumatic sport-related injuries such as concussions and heat stroke. Kevin King is currently an assistant athletic trainer with the Carolina Panthers. He joined the organization in 2013. Before the Charlotte, he served as a staff athletic trainer at the University of North Carolina at Chapel Hill from 2007 to 2013 where he covered football, cheerleading and fencing, as well, as assisted the undergrad and graduate programs as a clinical supervisor. 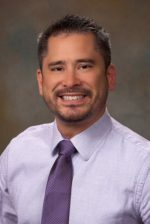 He earned his Bachelors of Science degree in athletic training from East Carolina University in 2000 and his Master’s degree in Education from the University of Connecticut in 2003. Prior to employment at UNC-Chapel Hill, Kevin spent over 3 years working as a staff athletic trainer for football in the sports medicine department at North Carolina State University. His additional sports medicine experiences include, internships with the following organizations: Cleveland Browns (04′, 03′), New York Football Giants (Summer 99′,98′), Pittsburgh Pirates (98′), and the minor league Carolina Mudcats (99′, 97′). Kevin is a proudly serves as a committee member for the North Carolina Athletic Trainers’ Association and the Professional Football Athletic Trainers’ Society. Dr. Larkin has been practicing internal medicine in Cincinnati since 1991. After 11 years of teaching and practicing at the University of Cincinnati College of Medicine, she opened her own practice guided by a philosophy of providing high-quality, personalized care and with a vision to create a comprehensive, evidence-based, multispecialty health facility for women. In 2012, that vision became reality as she helped establish the UC Health Women’s Center and her practice joined UC Health as a satellite office for the Center. She has a specific interest in women’s health, particularly the care of women during the peri-menopause and menopause transition and female sexual issues. In 2001, she completed an advanced credentialing course in menopause and menopause management and is now a certified menopause clinician through the North American Menopause Society. She also is an associate professor and the division director for Midlife Women’s Health in the Department of Ob/Gyn at the University of Cincinnati College of Medicine. Dr. Larkin has received numerous academic achievement awards and service awards for her outstanding dedication to her patients. Consistently recognized as one of Cincinnati’s best physicians, she was featured on the cover of Cincinnati Magazine’s Top Doctors issue in November 2002. She is active in the American College of Physicians and the North American Menopause Society. Originally from Long Island, Dr. Larkin earned her undergraduate degree from Skidmore College in upstate New York and her medical degree from Yale University’s School of Medicine. She completed her internal medicine residency at the University of Chicago Hospitals and became board certified in 1991 (re-certified in 2011). Dr. Lee’s research aims are to elucidate genetic and molecular mechanisms of whole body and cellular stress (osmotic, heat, exercise, immune) adaptation in Caenorhabditis elegans and humans. She aims to work on projects that identify human biomarkers of stress exposure and adaptation, characterize genome-wide transcriptional responses to stress in humans and C. elegans, and identify mechanisms of osmosensing and adaptation in response to osmotic stress and infection. At UConn she is currently working on multiple projects that aim to characterize the intracellular and extracellular molecular chaperone response to multiple whole body stressors. 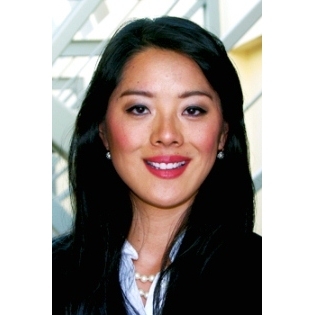 Dr. Lee received her Bachelor’s, Master’s and Doctorate degrees from the University of Connecticut. 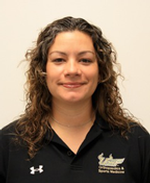 Rebecca Lopez’s research interests include exertional heat stroke, cooling methods for hyperthermic athletes, ergogenic aids and thermoregulation, hydration and exercise performance, and exercise heat tolerance issues of American football players. Rebecca has extensive athletic training experience in the high school setting, having worked over eight years in Miami area high schools. She also has experience working mass medical events including the Boston Marathon, Marine Corps Marathon, and Falmouth Road Race. She has published or has in press more than 25 peer-reviewed publications related to heat and hydration issues of athletes. Rebecca received her bachelor’s and master’s degrees in athletic training at Florida International University in 1998 and 2004, respectively. She graduated in 2010 from the University of Connecticut with her doctorate in exercise science. Dr. Thom Mayer is the Medical Director of the NFL Players Association, a position he assumed at the request of Gene Upshaw on the day Korey Stringer, a tackle for the Minnesota Vikings, passed away from heat stroke.. The NFLPA had never before had a Medical Director. Under the leadership of current NFLPA Executive Director DeMaurice Smith, Dr. Mayer and his team pioneered a new era in assuring that the health and safety of NFL athletes are protected. Heat illness, traumatic brain injuries, cardiovascular disease, musculoskeletal injuries, and strength training are all now subject to strict guidelines. In this critical role for the NFLPA, he has become one of the most trusted and widely-respected physicians in sports medicine. He is also recognized as an expert in emergency medicine, pediatric emergency medicine, trauma and healthcare leadership. With regard to sports medicine, leadership development, service excellence and patient flow, he is the most respected and widely known emergency physician in the nation. 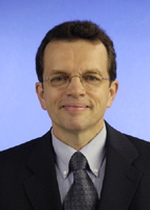 Dr. Mayer has published over 90 articles, 100 book chapters, and has edited fifteen textbooks. He has spoken at over 200 national and international conferences on sports medicine and emergency medicine. 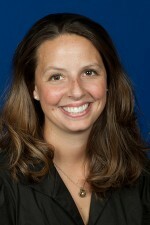 Stephanie Mazerolle is an assistant professor and director of the professional bachelors athletic training program at the University of Connecticut; a position she has held for over ten years. Her research interests include the prevention of sudden death in sport, particularly as it relates to implementation of best practices and educational techniques used to instruct health care professionals, coaches, parents, and other medical professionals. Pressures to return athletes back to play following injury is an area that her work will extend over the next few years. She has expertise in the area of survey methods and qualitative methodologies. Her recent work with KSI has focused on athletic training services within the secondary school setting and how to overcome the barriers to hiring athletic trainers within the setting. Two of her publications in the Journal of Athletic Training, related to exertional heat stroke and evidence based practice, were awarded second runner up for the 2011 Clint Thompson Award for Clinical Advancement. She received her bachelor’s degree in athletic training at the University of Connecticut in 2000, her master’s degree in Athletic Training at Old Dominion University in 2002 and graduated from the Neag School of Education at the University of Connecticut in 2005 with her doctorate in sport management. 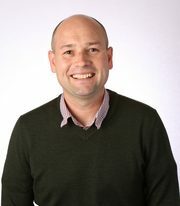 Brendon McDermott is an associate professor at the University of Arkansas. He is chair of the updated National Athletic Trainers Association (NATA) position statement on fluid replacement for athletes, to be released within the next year. Other research interests include exertional heat stroke treatment, return-to-activity following exertional heat stroke, hydration and exercise performance, thermal physiology, and ergogenic aides and exercise performance. He received his bachelor’s degree in athletic training at Northeastern University in 2000, his master’s degree in kinesiology at Indiana University in 2001 and graduated from the Neag School of Education at the University of Connecticut in 2009 with his doctorate in exercise science. Kevin C. Miller is a Professor of Athletic Training in the School of Rehabilitation and Medical Sciences at Central Michigan University. His research interests involve the causes, treatments, and prevention of heat illness with a specific emphasis on exercise-associated muscle cramping. He has published over 30 peer-reviewed manuscripts in medical journals and presented over 70 international, national, or regional presentations on topics related to heat illnesses. He co-authored the 2015 NATA Position Statement on Exertional Heat Illness as well as the Statement of the Third International Exercise-Associated Hyponatremia Consensus Development Conference. 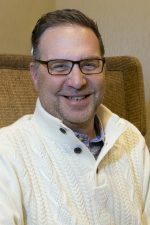 He is a member of the Journal of Athletic Training’s Editorial Board, co-Chair of the Michigan Athletic Trainers Society Planning Committee, and member of the NATAs International Committee. Dr. Miller earned his BS in Human Biology with an emphasis in Exercise Physiology from the University of Wisconsin-Green Bay; a MS in Human Performance from the University of Wisconsin-La Crosse; and his PhD in Exercise Science with an emphasis in Physical Medicine and Rehabilitation from Brigham Young University. Dan Newman has been the Head Athletic Trainer at Union High School since 2002. He has been in the athletic training profession since 1996. During his professional career, Dan has been providing care to athletes and the physically active in the collegiate, secondary school, clinical and the professional setting. Outside the athletic training facility, Dan has been very active in leadership on the state, district and national levels. 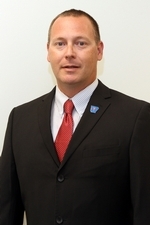 He is the past meeting committee chair and past president of the Oklahoma Athletic Trainers’ Association. He is currently the District 5 representative to the NATA Secondary School Athletic Trainers’ Committee. 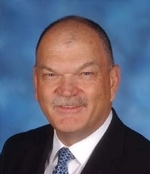 During his tenure on the SSATC, he has been the work group chair for the re-write of the Secondary School Value model, assisted with Chris Dean in developing the SSATC Mentor program which is being used with the NFL AT grant program. 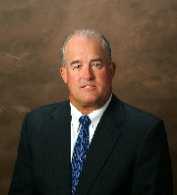 Dan also served as the Vice-Chair of the SSATC. In 2014 Dan was awarded the NATA service award and also is the 2017 OATA Athletic Trainer of the Year recipient. Dan graduated from the University of Tulsa, with a degree in Athletic Training and completed his Masters at the University of Nevada, Las Vegas. Jeremy Ng is a board certified Emergency Medicine physician with a certificate of added qualification in Primary Care Sports Medicine. His interests include performance medicine, elite-level performance coaching, concussion management, and travel medicine. Dr. Ng graduated from Boston University School of Medicine, completed his emergency medicine residency at Albert Einstein Medical Center in Philadelphia, and his primary care sports medicine fellowship at the Combined University of Pennsylvania/Children’s Hospital of Philadelphia Program. During his medical training, Dr. Ng was also coaching track and field at the NCAA Division II level as well as working with individual athletes from several different sports. He has his USA Track and Field Level II coaching certification in Jumps and is working towards his Level III coaching certification in Sprints/Hurdles. This passion fueled a unique training pathway that eventually included working as both a physician and performance coach with approximately 140 football players who were later selected in the NFL Draft as well as numerous Olympic track and field athletes. During his residency and fellowship, Dr. Ng worked as a physician and sports performance coach for the NFL Combine Preparation Program at Bommarito Performance Systems in Florida. In addition to his role as a physician, Dr. Ng also helped design and lead speed and strength training sessions, created meal plans, performed video analysis, and developed rehabilitation plans. After his fellowship, Dr. Ng moved to Florida to work with IMG Academy, where he served as a primary care sports medicine physician for the students, US Soccer U-17 Men’s National Team Residency Program, and the Elite/Professional athletes that train there. He was the Medical Director for the IMG Academy NFL Combine Preparation Program from 2013-2016 while also assisting as a sports performance coach. In addition, he has designed county-wide concussion protocols and numerous institution-wide concussion protocols for the surrounding community. Dr. Ng developed the Lecture Series at IMG Academy for athletic trainers, physical therapists, EMS personnel, and school nurses to offer free continuing education units, encourage and promote evidence-based practice, and provide a meeting place and forum to discuss issues effecting the local sports medicine community. The Lecture Series focuses on the causes of sudden death, preparation for mass gatherings and optimizing sports performance. Julie DeMartini is an assistant professor in the Athletic Training program at Sacred Heart University. Julie is a co-author on the recently updated National Athletic Trainers’ Association position statement on exertional heat illnesses, and has several other peer-reviewed publications related to her research interests involving thermoregulation and heat illness in athletes. In addition, she has nearly 10 years of experience working mass medical events including the Falmouth Road Race, Boston Marathon and Marine Corps Marathon. Julie received her Bachelor’s degree in Athletic Training from Duquesne University in 2006, and her Master’s and Doctorate degrees in Exercise Science from the University of Connecticut in 2009 and 2013, respectively. Francis O’Connor has been a leader in sports medicine education and research for the military for more than 20 years. Dr. O’Connor has authored over 50+ articles in scientific journals and numerous book chapters, technical reports and health promotion resources for the military. Additionally, Dr. O’Connor is the editor of four texts on sports medicine including, the Textbook of Running Medicine and Sports Medicine for the Primary Care Physician, 3rd Edition. He has served on the boards of several leading organizations in sports medicine including the American College of Sports Medicine (ACSM), the American Medical Society of Sports Medicine (AMSSM), and the American Medical Athletic Association (AMAA). A Colonel in the United States Army, Dr. O’Connor is a graduate of the United States Military Academy at West Point; and prior to his recent posting at Uniformed Services University in the Department of Military Medicine, served one year as a Command Surgeon with Special Operations in the Middle East. Dr. James Onate brings considerable research, education, and clinical experience as an Associate Professor at The Ohio State University. He earned his PhD in Human Movement Science from the University of North Carolina at Chapel Hill in 2002 and has nearly two decades of experience working with various aspects of human performance groups. His background as an academic faculty leader has been the intersection of injury prevention to human performance optimization to enable individuals/teams to maximize their potential. Funding for his work totaling approximately $4 million has been provided through the National Institutes of Health, the Office of Naval Research, the United States Special Operations Command, and the Naval Special Warfare Development Group. Dr. Onate acts as a faculty lead of the OSU Human Performance Collaborative as a key component in building the bridges across academia, industry, and clinical models relative to human performance in the hopes of developing proactive integrative approaches for optimizing and sustaining human performance. Dr. Onate has worked with collegiate-level athletes, military special forces groups, elementary school aged children ranging across various topic areas consisting of sport related concussion, lower extremity musculoskeletal injuries, functional movement assessments, neuromechanical motor learning, high performance model development, and esports performance and wellness. His main focus lies in optimizing and sustaining human performance. 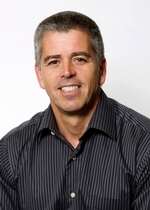 Dr. Périard is an Associate Professor at the University of Canberra Research Institute for Sport and Exercise. 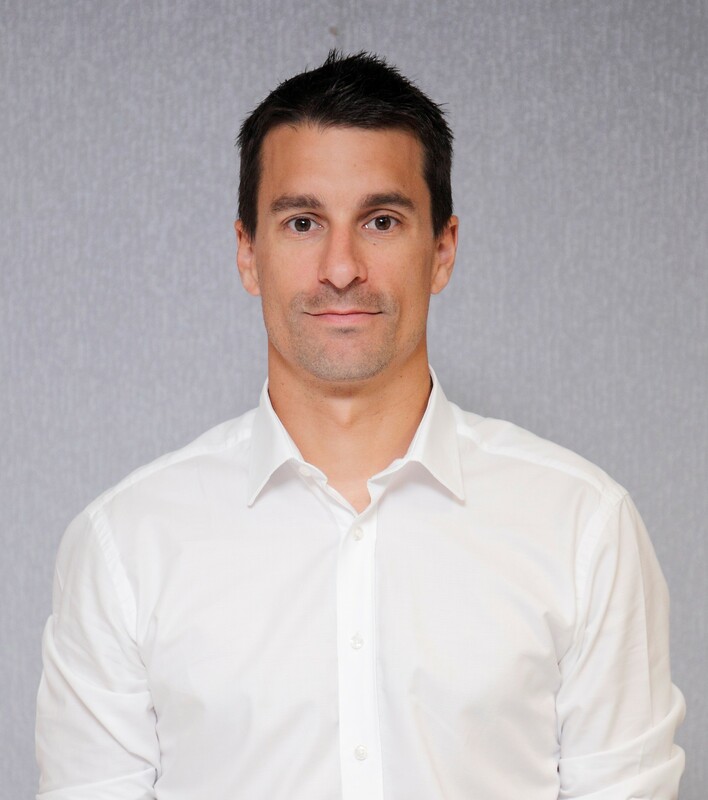 He is also an Adjunct Senior Lecturer at the University of Sydney and former Research Scientist and Head of Research Operations for the Athlete Health and Performance Research Centre at Aspetar. His scientific expertise lies in the area of environmental physiology with his research examining the mechanisms that mediate health and performance in adverse environments (i.e. heat and altitude). He has worked with both amateur and professional athletes from various disciplines, along with National and International Federations (e.g. FFR, IAAF, ITF and UCI). He has authored over 65 research publications and book chapters, including a textbook on Heat Stress in Sport and Exercise that is scheduled to be released in 2019. He has presented at more than 60 international conferences, including 10 as a keynote presenter. 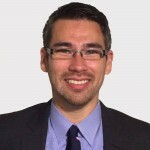 Julien is an Associate Editor for Front Physiol and has served as Guest Editor for the Br J Sports Med and Scan J Sci Med Sport. His research has been recognised by the Canadian Society for Exercise Physiology, Exercise and Sports Science Australia, the Physiological Society, and the Society for Tennis Medicine and Science. 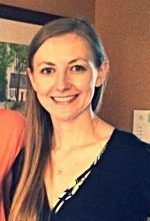 Riana Pryor is an Assistant Professor at the University at Buffalo in the Department of Exercise and Nutrition Sciences and teaches in the Athletic Training Program. 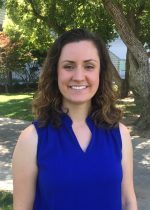 Working in the Center for Research and Education in Special Environments, her research interests include the impact of the environment on physiological responses to physical activity in athletes and laborers. Additionally, Riana is investigating medical services provided in secondary schools throughout the United States. 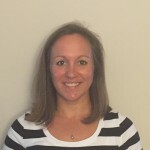 Riana received her Bachelor’s degree in Exercise Physiology and Athletic Training from SUNY Brockport, her Master’s degree in Exercise and Sport Sciences from Ithaca College, and her Doctorate in Kinesiology from the University of Connecticut. 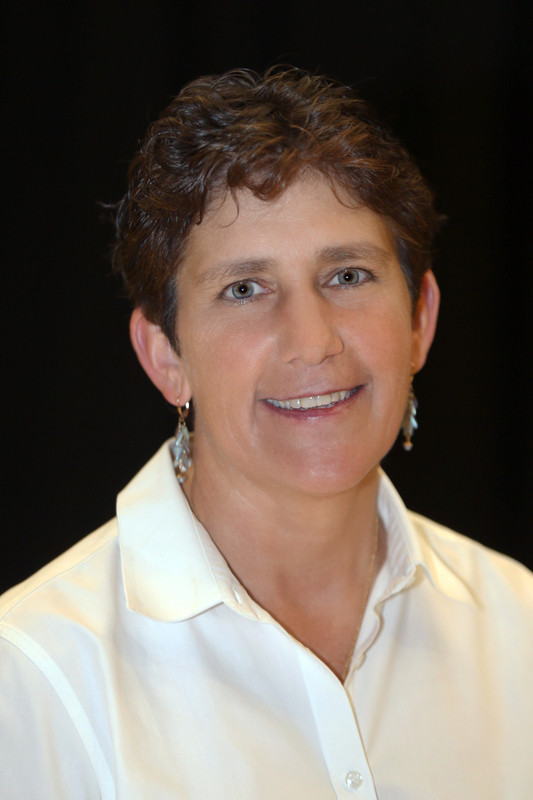 Margot Putukian is the Director of Athletic Medicine and Head Team Physician at Princeton University. She received her B.S. degree from Yale University, where she participated in soccer and lacrosse, and her M.D. from Boston University. Prior to her current position at Princeton, she worked at Penn State University as a team physician. Dr. Putukian is board certified in Internal Medicine and Sports Medicine. Dr. Putukian is a past president of the American Medical Society for Sports Medicine (AMSSM), and is a Team Physician for US Soccer as well as for the US Men’s Lacrosse Team. Dr. Putukian has been an author and co-author on several articles, including the NATA & AMSSM Position Statements on Concussion, several Team Physician Consensus Statements and the two most recent Zurich International Concussion Conference documents. She is an editor of the Netter’s Sports Medicine textbook, and has also been active in research in concussion, as well as sport specific issues in soccer and lacrosse. She is on the NCAA Task Force on Concussion and the Task Force on Mental Health issues. Dr. Putukian chairs the Clinical Sports Medicine Leadership committee for the American College of Sports Medicine. She serves on the US Soccer Concussion Committee and is a member of the US Soccer Recognize to Recover campaign. 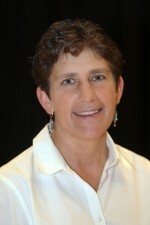 She chairs the US Lacrosse Sport Science & Safety Committee and serves on the USA Football Medical Advisory Committee. Margot is a medical consultant to Major League Soccer and also currently serves on the NFL’s Head, Neck & Spine Committee. Her clinical role extends beyond the emergency department and she created the Center for Sports Medicine, an outpatient clinic that serves the community and through which she sponsors state wide baseline ImPACT testing for all high school athletes as well as statewide educational programs for faculty and families for all levels of school. She was a member of the Institute of Medicine/National Academy of Science Committee on Sports Related Concussion in Youth. As an emergency physician trained in sports medicine, she offers a unique skill set for athletes in the acute setting. Her sideline experiences include high school and collegiate athletics, the Pittsburgh Pirates, UCI BMX, the Winter Dew Tour, the Women’s US Golf Tour, mass participation events such as the Boston and New York Marathon and the Rock and Roll Half Marathon, The Pittsburgh Boxing Association, and the Special Olympics. She continues in her role at Brown as a team physician, volunteers as a team physician at Bay View Academy (an all girls school) and East Providence High School. As a result of her efforts, she has earned the Top Doc RI award in Rhode Island for sports medicine numerous times. The health of a community is improved by delivering the highest quality, patient-centered care in a setting of active innovation and education and using research to inform policy change. 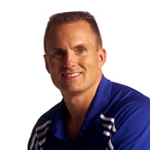 Mike Ryan is a renowned sports medicine and physical rehabilitation expert. His diverse background includes the National Football League, 6 Ironman triathlon finishes, international lecturing, heat illness specialization and the US Olympic Training Center. Mike, the Sports Medicine Analyst for NBC Sports and Sunday Night Football, is the former Jacksonville Jaguars’ Head Athletic Trainer/Physical therapist (1994 – 2014). Mike served as the Assistant Athletic Trainer/Physical Therapist for the New York Giants (1988 – 1994) for six seasons before becoming the youngest head athletic trainer in the NFL in 1994. In addition to his role with Sunday Night Football, Mike is founder of Mike Ryan Sports Medicine, Inc. sharing his expertise on physical therapy, injury prevention, wellness and fitness to expand his Personal Mission Statement: To Enhance the Health of Others. During his 26 years in the NFL, Mr. Ryan served as President of the Professional Football Athletic Trainers’ Society Research & Education Foundation (1999 – 2014), Chairman of the NFL Collegiate Athletic Trainers’ Committee and a member of the NFL Foot & Ankle Committee. Mike is proud of his role as mentor for young sports medicine professionals. Three of his former NFL assistants have been employed as head athletic trainers in the NFL: Andre’ Tucker, Chicago Bears, Joe Sheehan, Cleveland Browns and John Burrell, Washington Redskins. 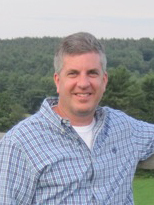 Mr. Ryan attended Central Connecticut State University, where he received a bachelor’s degree in athletic training in 1985. He also earned a bachelor’s degree in physical therapy from the University of Connecticut in 1988. Mike, a life-long fitness enthusiast, continues to expand his athletic career with Spartan Races, triathlons and running races of any distance. Jay Sedory has been an athletic trainer for over 11 years and an emergency medical professional for more than 9 years. The majority of his work experience is in law enforcement and military settings such as; The United States Marine Corps, The Federal Bureau of Investigation and Drug Enforcement Administration. His unique experience, background, and skill set allow him to serve with multiple roles and responsibilities. 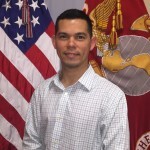 He is a staff instructor for Counter Narcotics and Terrorism Operational Medical Support (CONTOMS) and a deployable asset for the United States Department of Health Tactical Medicine Branch. He is directly involved in operations, prevention, and disaster relief programs. He has been instrumental in bringing awareness and education of environmental injuries to other federal agencies such as The State Department and Department of Interior – Wildland Fire. He was the principle contributor in the “Prevention” domain of Board of Certification Role of Delineation Study/ Practice Analysis 7th edition. Professionally, Jay has been a leader and volunteer in many areas. 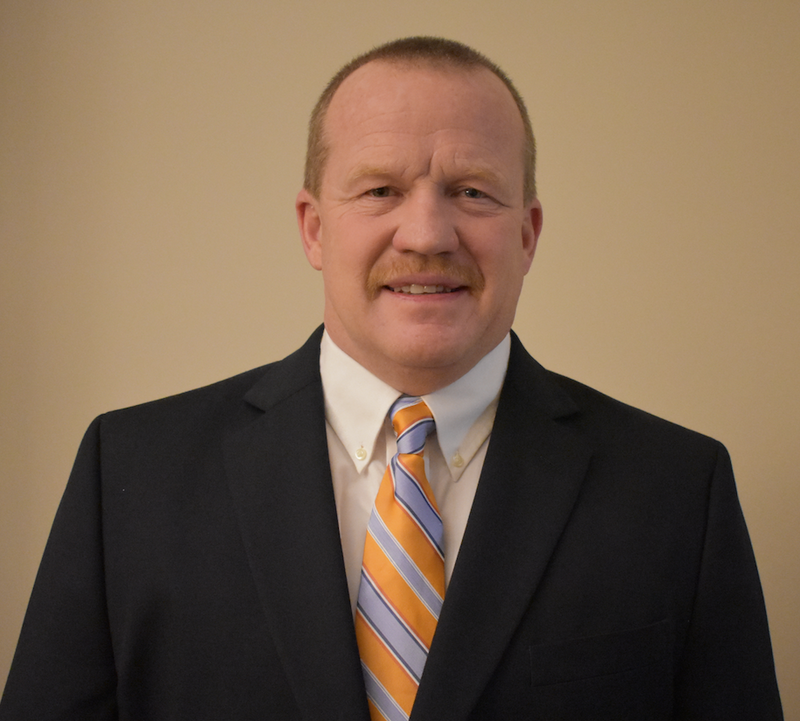 Currently, he serves on the Board of Certification under the Reinstatement Panel and is the Past-President for the Virginia Athletic Trainers’ Association. During his state presidency (2014-2016), the VATA was able to include the use of “Oxygen” during emergency events such as sickle cell in the state regulations. He was the District 3 representative to the National Young Professional’s Committee. Jay Sedory received his Bachelor’s Degree in Education – Athletic training from Southern Illinois University. He received his Master’s in Education – Athletic Training from University of Virginia. 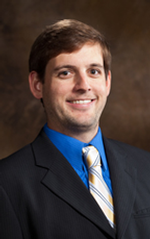 Dr. Seth Smith is currently an assistant professor in the Division of Sports Medicine at the University of Florida Department of Orthopaedics and Rehabilitation with a courtesy appointment in the Department of Community Health and Family Medicine. He obtained his pharmacy degree from the University of Florida College of Pharmacy and medical degree from the Florida State University College of Medicine. 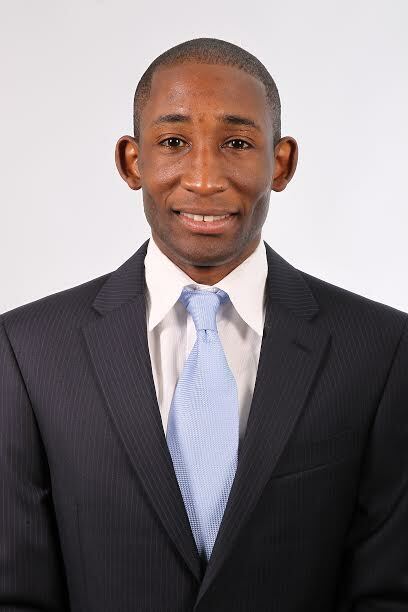 He completed his residency training in Family Medicine at the University of Florida and completed a Primary Care Sports Medicine fellowship at the University of Florida. 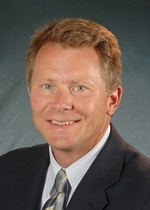 He is currently the head team physician for the Santa Fe College athletic program and Co-Medical director for the University of Florida Department of Orthopedics High School and Adolescent Outreach Program that oversees 18 high school sports programs and numerous adolescent and youth sports programs. His clinical and research interests include exertional heat related illness, sports related concussions, youth overuse injuries, sports pharmacology, and musculoskeletal ultrasound. Paul Sparling has been the Cincinnati Bengals Head Athletic Trainer since 1992, replacing the Bengals original Athletic Trainer, Marv Pollins upon his retirement the same year. Paul started initially with the team as a student athletic trainer intern beginning in 1978 and then was elevated to Assistant Athletic Trainer in 1982. He is currently one of the longest tenured Head Athletic Trainers in the NFL and is entering his 37th season in the NFL. Paul graduated from Wilmington College of Ohio in 1981 with a bachelor’s degree in Health Education, Industrial Education, and emphasis in Athletic Training. He earned his master’s degree in Health Administration from the University of Cincinnati in 1991. He has been inducted into the Wilmington College Athletic Hall of Fame. He has been nominated to the Ohio Athletic Trainers Hall of Fame and is a frequent public speaker on sports medicine related topics around the country. He takes great pride in the Athletic Training Internship Program he oversees with the club which has seen over 80 students go on to become Athletic Trainers, Physical Therapists, Chiropractic Physicians, Medical Doctors, and even a Surgeon. Paul speaks fondly of his time with the Bengals club and praises the team’s ownership for ensuring from day one that all medical care is consistently focused on “doing what is right, not only for today but also for the long-term benefit for each player”. One such example is that that the team started doing Neurological Baselines on all players nearly 10 years before it was mandated by the league. Dr. Swartz received his PhD in Applied Biomechanics at the University of Toledo. Dr. Swartz’ primary research interest involves studying the acute management of athletes with a cervical spine injury. Dr. Swartz was selected to chair the writing group for the NATA Position Statement on the Acute Management of the Cervical Spine Injured Athlete. Dr. Swartz has received grant awards from The NATA Foundation, the National Football League, and the National Operating Committee for Standards in Athletic Equipment. He has been published in multiple journals including Spine, New England Journal of Medicine, Prehospital Emergency Care, Journal of Athletic Training, The American Journal of Sports Medicine, and Clinical Journal of Sport Medicine. He has presented his research on state, regional and national levels. He serves on the NFL Head Neck and Spine Committee’s Subcommittee on Safety Equipment and Rules and on the NATA Conference Programming Committee. He is on the Editorial Boards of the Journal of Athletic Training and Athletic Training and Sports Health Care Journal. Jim embraced his Pennsylvania State Athletic Conference (PSAC) collaborations and became one of the nationally recognized experts in health care for wrestlers. When chairing the NCAA Athletic Trainer Task Force from 1997-2006 and then later serving as the Athletic Training Liaison to the NCAA Wrestling Rules Committee, Jim contributed to the creation of health and safety rules related to safe weight management practices, and the prevention and treatment of common skin infections. He also helped to create several health and safety publications, instructional videos, and practice standards that have been distributed and shared widely by USA Wrestling. In addition to sharing his over thirty years of clinical expertise with health issues in wrestling, Mr. Thornton recently co-authored four different peer-reviewed publications on liability in sports medicine and the role of athletic trainers. Jim’s clinical expertise and contributions at the collegiate level were recognized in 2008 when he received the NATA College and University Committee’s Division II Head Athletic Trainer of the Year recognition. For many, these achievements would have been a pinnacle of their successes; however, that was not the case for Mr. Thornton. These achievement only served to fuel Jim’s desire to give back to the profession of Athletic Training even further, culminating in his election as President of the National Athletic Trainers’ Association. During Jim’s leadership as NATA President from 2012-2015, the NATA marked a time of unrivaled progress and recognition of Athletic Training in the ever-expanding and competitive health care arena. He was well respected and admired by his colleagues, his peers, administrators of other national organizations, and legislators. Jim Thornton has made a difference for Athletic Trainers in Pennsylvania, across the United States and on an international level. Through all that he has given back to the profession, and how he has represented all of his colleagues and friends in Pennsylvania and District Two so admirably, James L. Thornton is recognized as many things to many different people – leader, teacher, outstanding clinician, and visionary, but most importantly as loving husband of Bridget Gates Thornton, who is also an Athletic Trainer, and their three daughters, Matti, Maci and Maya. Athletic Trainers in Pennsylvania and across the United States have benefitted greatly from the unselfish contributions that Jim Thornton has made to the advancement of the profession. 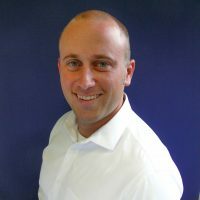 Founder and President of Sports Medicine Consultants, (1980) Chris Troyanos is a successful entrepreneur who has served as the Medical Director and Coordinator for a number of athletic events. As the Medical Coordinator to the Boston Athletic Association, he is the architect for the medical coverage provided at the Boston Marathon. He has over 30 years of experience when it comes to the medical care and public safety for several endurance events. He is a sought-after lecturer on the subject of health care for large-scale athletic events, and has extensive experience working with local, state and federal agencies as it relates to mass casualty concerns for major marathons. Chris has an excellent record of accomplishment when providing road race medicine as a result of his many years as the Medical Coordinator of the Boston Marathon. From 1977 to 1995, he volunteered as the coordinator of athletic training services with the Boston Athletic Association. Since 1996, he has taken on a leadership role organizing a medical committee of over 50 medical professionals and another 1600 on-site medical volunteers. He has been the primary liaison to the various cities and towns supporting the race. 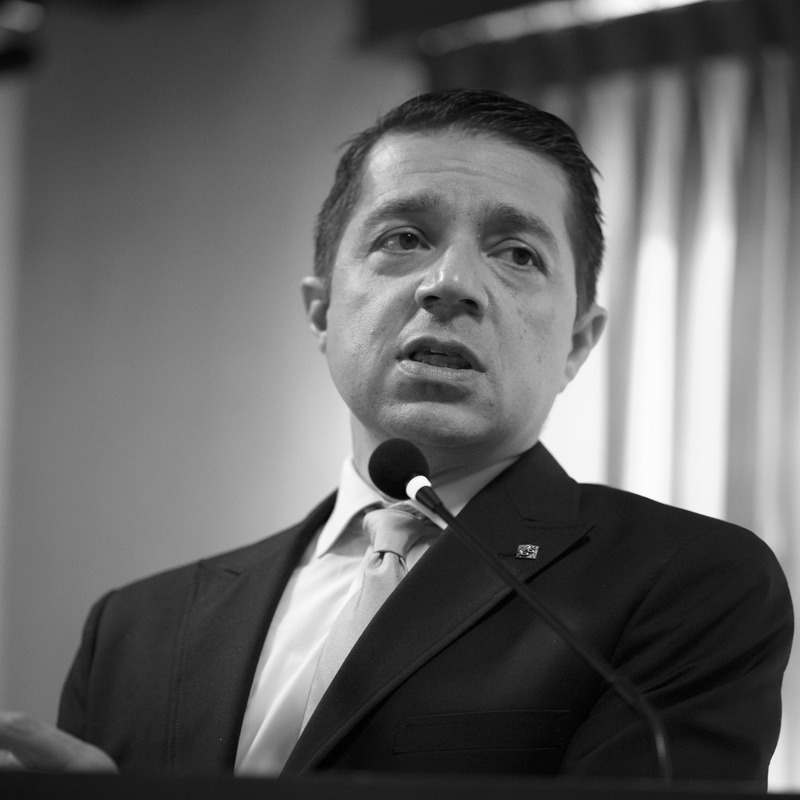 His partnerships and relationship building skills have created strong ties with the Department of Public Health, the Massachusetts Emergency Management Agency and ten participating hospitals. His ability to bring people together and forge relationships has truly allowed many competing agencies to act as one during this historic marathon. In addition to his organizational skills, Chris has established vital partnerships with a number of key corporate supporters by partnering with Philips HealthCare, Covdien, Abbot Labs and Nova BioMedical. His efforts have allowed the Boston Marathon to enjoy the largest level of medical sponsorship and “gift in kind” support in the country. Chris has also taken on the role of Executive Director for the International Institute for Race Medicine. He leads an international group of medical directors that are working to improve the safety for all road race participants. Lesley Vandermark is a clinical assistant professor in the graduate athletic training program at the University of Arkansas. Her research interests include hydration and thermoregulation during exercise. In particular, she is interested in methods to prevent, recognize, and treat exertional heat stroke. 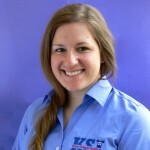 Dr. Vandermark received her Bachelor’s degree in athletic training from California University of Pennsylvania in 2010, and her Master’s and Doctorate degrees in kinesiology from the University of Connecticut in 2012 and 2016, respectively. 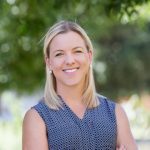 Jennifer Vanos holds an interdisciplinary appointment spanning Human Health and Climate Science between Scripps Institution of Oceanography and Family Medicine and Public Health at UC San Diego. Her research in human biometeorology involves measurement and modeling of atmospheric and physiologic parameters to better understand the links between climate, design, and human health. Dr. Vanos focuses the influence of extreme heat and radiant exposures on thermal comfort and human health in outdoor recreational environments, with an emphasis on children’s exposures. She has published 35 peer-reviewed articles in scientific journals and currently runs the Microclimate Instrumentation Lab at UCSD. 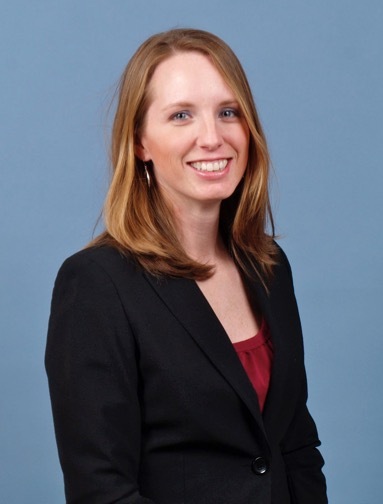 She previously worked at Texas Tech University in Atmospheric Sciences and Health Canada in Environmental Health. She received her Ph.D. and bachelor’s degrees from the University of Guelph in Canada. Mark Verstegen is the Founder and President of EXOS, the industry leader in performance training, nutrition, and physical therapy for elite athletes and teams, and Core Performance, the proactive leader in redefining corporate wellness by helping employees take simple, actionable steps to achieving better health. Verstegen has revolutionized the health industry by creating a proven methodology for helping athletes achieve their goals and transitioning into a leading wellness solution that has transformed how companies think about wellness. Under Verstegen’s leadership, EXOS supports more than 1,000 professional athletes globally, including the last five #1 NFL Draft picks, the German National Soccer Team, and countless All-Stars in baseball, basketball, hockey, golf and tennis. Mark also serves at the Director of Performance for the NFLPA, focusing on player safety and welfare. Core Performance supports individuals in the game of life using the same proven system employed at Athletes’ Performance. Verstegen has written five Core Performance books, launched a leading online training site (coreperformance.com) and created a leading-edge wellness solution employed by Fortune 500 corporations, including Intel and Starwood. Mark has a BS from Washington State University and a Master’s Degree from University of Idaho in Sports Sciences. Jonathan Wingo earned his BS in Exercise Science from Berry College in 1999, his MA in Exercise and Sport Science from UNC-Chapel Hill in 2002, and his PhD in Exercise Science from the University of Georgia in 2006. He then completed a postdoctoral fellowship in integrative physiology while jointly appointed at the Institute for Exercise and Environmental Medicine and the University of Texas Southwestern Medical Center in Dallas, Texas. He became a Fellow of the American College of Sports Medicine (ACSM) and an ACSM Certified Exercise Physiologist in 2013. 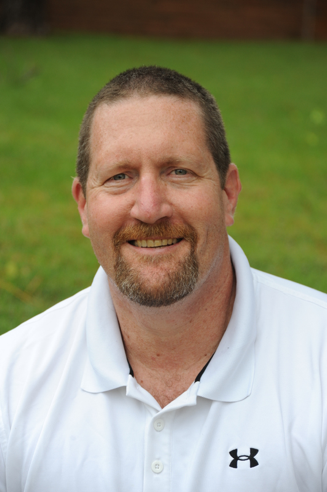 Dr. Wingo is currently an Associate Professor and Head of the Department of Kinesiology at the University of Alabama. His research focuses on human cardiovascular and thermoregulatory physiology in response to heat stress and exercise. Susan Yeargin is an assistant professor of Athletic Training. She serves on NATA’s Pronouncement’s Committee. She was a task force member and author of the Pre-Season Heat-Acclimatization Guidelines for Secondary School Athletics and the NATA Position Statement on Exertional Heat Illnesses. She has over 10 years of experience conducting research, 25 peer-reviewed publications in the content area, and over 30 professional presentations at the local, national, and international level on thermoregulation and hydration behaviors. Her area of expertise is in thermoregulation and hydration behaviors in active populations. Past studies include hydration status measurements, hydration behaviors of children and adolescents, heat acclimatization of youth, pre-cooling ergogenic aids, cooling for heat illness treatment, core body temperature validity, and thermoregulation in exercising individuals. She has clinical experience with national cross country and marathon competitions as well as Division I collegiate sports. She has been a professor for nine years teaching both undergraduate and graduate Athletic Training courses such as Medical Emergencies in Sport and Orthopedic Evaluation. Dr. Yeargin received her bachelor’s degree from James Madison University in 2001, and in 2003 she earned her master’s degree in exercise and sport science from the University of Florida. She continued her education at the University of Connecticut and graduated with her doctorate in 2007.